Gainesville, Fla. – Ron Wetherington­­­­­­­­­­­­­­­­­­­ has been named the recipient of the 2016 Distinguished Service to Agriculture Award by Florida Farm Bureau. 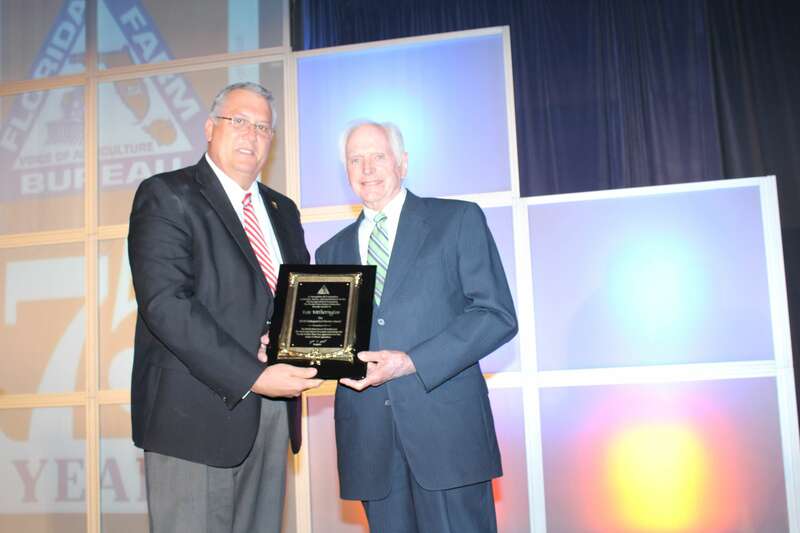 The award recognizes a Farm Bureau member who has made outstanding contributions to the Farm Bureau organization as well as Florida agriculture. Wetherington, a Plant City native, has been involved in Farm Bureau for nearly 60 years. He is a past president of the Florida Strawberry Growers Association and strong supporter of his community. Wetherington is known for his generous spirit, work ethic and ability to get things done. “I sincerely thank you for your accomplishments and contributions to Farm Bureau and agriculture,” added Hoblick.